With our expertise and trustworthiness, we are engaged in offering an optimum quality range of Forest Green Marble. Our innovative and experienced teams are engaged in processing the superior grade of Abalone green tiles that is processed using the latest technology. These products are used as tiles slabs in houses, offices, multiplexes and restaurants. The color of these products is choose carefully, to give the rich look to the products. Mirrorstone tiles come in Mirror finish which is far superior to all other tiles including natural stones including marble and granite. These tiles are pre-polished and ready to use. It has high glossy finish with true reflective properties. We have marked a distinct and dynamic position in this domain by offering world class Green Glass Mosaic Tile. Provoked to accomplish utmost approval of patrons, we render the premium grade of Green Light Marble Tile. 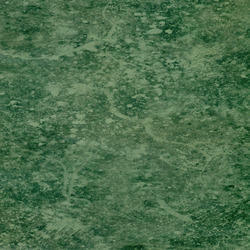 Clients can avail the wide assortment of Marble Tile (Forest Green). Its smooth finishing and stylish design make these products popular among the patrons. These tiles brings the elegance in the house and offices. With the help of our quality-approved products, we have been able to expand our major market area. We offer a range of forest green marble that is finds its application in construction, sculpturing and other architectural building. Known for its attractive color, our forest green marble is available in customized sizes. Other names: Crocodile green marble and imperial green marble. Banking on the skills of our qualified team of professionals, we are instrumental in offering supreme quality range of Emerald Green Marble Slab.